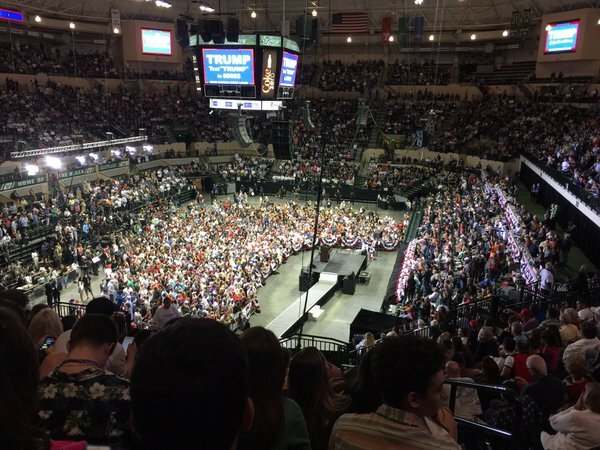 Call me crazy, but isn't it interesting how the bought and paid for mainstream media seem to never show the crowds at a Trump event? -W.E. 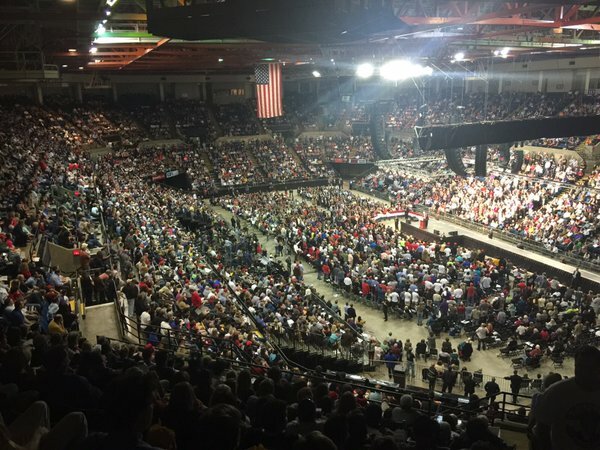 On Thursday night in Baton Rouge Donald Trump spoke to 12,000 supporters at the River Center. Donald Trump broke the attendance record set by Elton John by 4,000 people. Tonight Donald Trump is speaking at a rally in Tampa Florida. It was ANOTHER PACKED HOUSE! The arena holds 12,000 people — AND IT’S PACKED!